As a member of whiskystats.net you cannot only browse our database for single bottle price-evolutions but create your very own personal collection. In this article we will show you how to manage and keep track of the value of your whiskies. The secondary whisky-market is huge and always on a change. This makes it difficult to know how much the bottles in your shelf could be worth if you were to sell it on an online auction. To address this problem, Whiskystats-Members can add every bottle of our database to their personal collection. This enables them to get an overview about the current market value and the historic price-evolutions of their favourite bottles. In order to access our database and manage your personal collection you need to become a Whiskystats-Member. If you are already signed-in just go to Your Collections and create your collection. You can rename your collections by clicking on it and following the edit-link in the submenu. If you have successfully created your collection you can search our Whisky Database for your favourite bottles. You can access the detailed information of a bottle by clicking on the bottle’s name in the search results. At the bottom of the information you will find a button to add this bottle to your collection. You can now choose how many bottles you want to add and when you purchased them. You might wonder why you are asked to enter the date of purchase when you add a bottle to your collection. The reason is that we want to give you the possibility to reconstruct the historic value of your collection. If you are only interested in the future price changes you can simply leave the date to the current month. Once you have added your bottles to your collection you can view the collection’s statistics by clicking on “Collection Stats” in the submenu of Your Collections. There you can see a graphic representation of either the absolute value or the relative index of your collection. You will also see a listing of your current and historic positions. These tables provide you with the latest observed prices of each bottle and the relative price change since you’ve purchased them. When you edit your collection, you have the possibility to remove bottles from your current positions. This will move the bottle to your collection history. Bottles in your collection history still influence the evolution of the absolute value or the relative index, but only on the time period you had them in your collection. If you do not wish this you can permanently delete a bottle from your collection history. In one of our upcoming articles we will have a detailed look at how the relative indices are calculated. If you have any questions on how to manage your collection please visit our Guid & Help Forum or contact us directly. 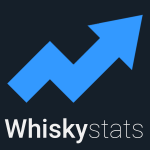 Our Whiskystats database is online for more than two years now. Wow! We thought this is a good occasion to give you some updates on the project, where it came from and where it might be going. This topic contains 5 replies, has 3 voices, and was last updated by Whiskystats 2 years, 9 months ago. I can successfully login to Whiskystats.com and previously have had no difficulty accessing my collection. Now each time I go to the “Your collections” page it requires a further login – so I get into a circular loop, making it impossible to get to my collection. please try to empty the cache of your browser. If the issue remains please send me an email to contact@whiskystats.net with the setup you are using (desktop or mobile, which browser) so I can try to reproduce the problem. I had a similar problem. Have you tried hitting F5 (reload page) when asked to login? Worked for me. Your advice has worked – many thanks, Claus ! The problem was that we told your browsers to store some page content to increase loading speed. If you visited e.g. the Whisky Database your Browser remembered the page from earlier (when you were logged out) and showed you the “No Member Banner”. This should now be fixed since we excluded the respective pages from caching. Thanks for the patience and sorry for the inconvenience!